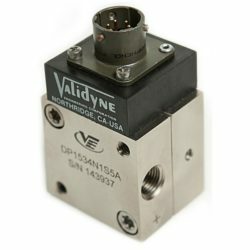 The Validyne model CD17 is a USB-powered carrier demodulator for Validyne variable reluctance pressure sensors such as the DP15, DP45 and DP103. 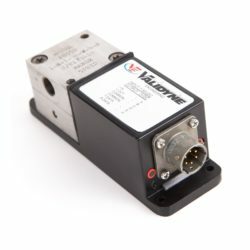 The CD17 allows any Validyne variable reluctance sensor to be used directly with a PC via the USB port. 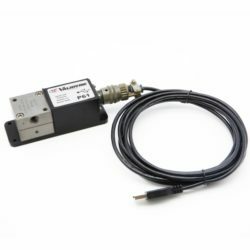 Communication and power via USB interface provides remote zero and span adjustment as well as digital pressure readings in mV/V. Drivers and software for the USB interface are included. The zero and full-scale outputs are set by USB digital command. 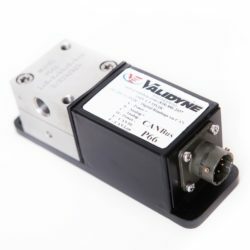 No potentiometer adjustments are required to calibrate. 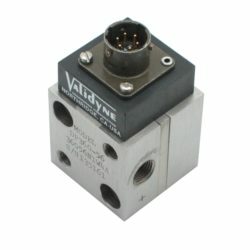 The CD17 has standard PT02A transducer electrical connections and measures just 1.5 x 1.5 x 5 inches overall. Powered by the +5 Vdc the CD17 has a USB micro connector. 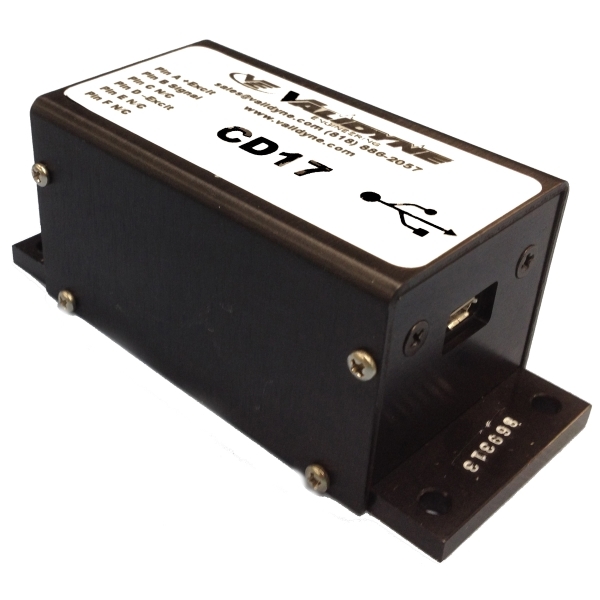 The CD17 is compatible with the Validne USB-COM software as well as LabView, Visual Basic and any other data acquisition program using COM serial ports.